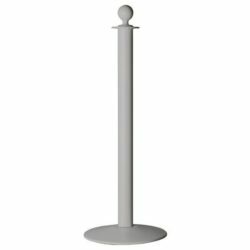 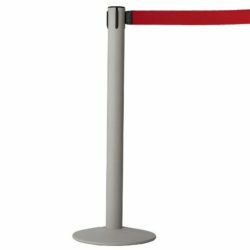 Stanchions – Crowd Control Posts and Barriers are great for businesses that see a lot of foot traffic. 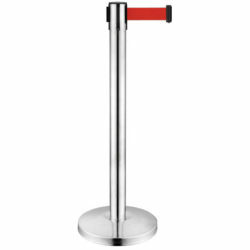 As a business that admits guests, it is common for an establishment to become crowded and guest flows can be disorderly especially in limited spaces. 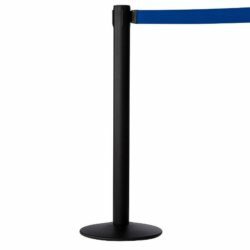 Directing customers is an effective way to keep your business organized and running efficiently. A stanchion system is a perfect solution for businesses that find crowds to be unmanageable during busy hours. 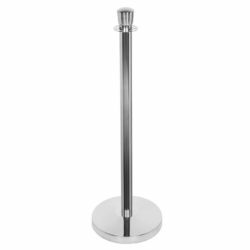 Organize customer lines with a proper layout of stanchions in strategic store spots. 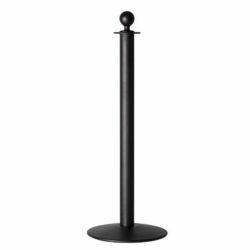 Limited spaces are maximized as the line flow is managed by the posts in place. There are also instances when in-house displays are off limits. 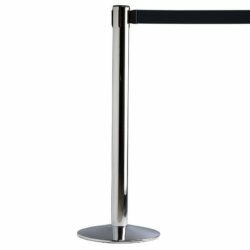 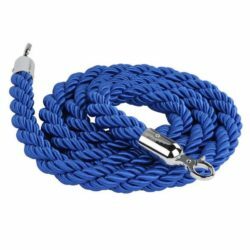 Stanchions can separate customer traffic from accessing expensive or fragile items. 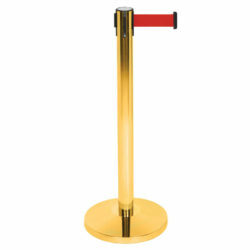 Where areas are restricted, permanent posts can be utilized to prevent any accidental entries. 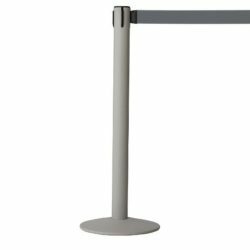 Many banks, school offices, malls, retail stores, theaters, museums benefit from installing either movable or fixed stanchions. 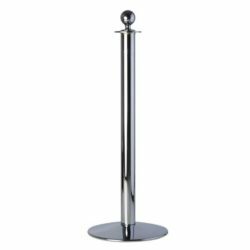 There are also businesses who provide stanchions on their storefronts to extend their service area or for pedestrian’s safety. 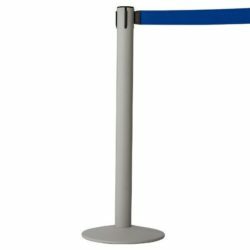 Display frames can be added to a system as instruction signage for the customers. This can be useful to post details relevant to the customer queue. 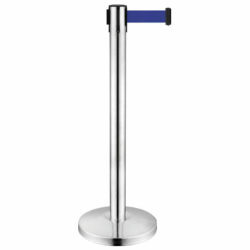 Tablet or literature stands are great fixtures positioned near where customers wait. 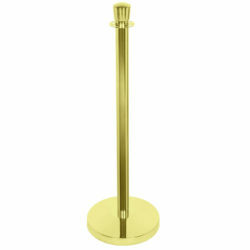 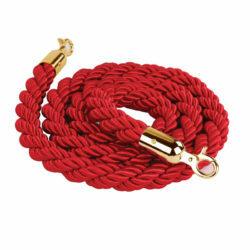 Our online catalog offers a number of sizes, styles and finishes to meet your preferences. Do check our other display categories for your signs and display needs.